“Dumping potentially contaminated waste next to Vernon's lakes is a threat to community. Specifically, we need discrete environmental testing, which I believe is necessary to assess any chemical compounds or hazmat-level contamination. I’ve written to the New Jersey Department of Environmental Protection and the Governor’s office because a simple test could prove if the water is safe and the people of Vernon deserve an answer"
On Monday, October 15, U.S. Congressman Josh Gottheimer (NJ-5) visited the waste pile on Silver Spruce Drive in Vernon. 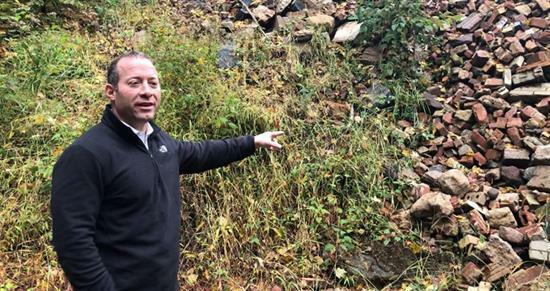 Joined by Mayor Harry Shortway, Freeholder Herb Yardley, and other town officials, Gottheimer surveyed the site and documented his findings to send back to the New Jersey Department of Environmental Protection (DEP). Simple testing of the waste pile would provide critical information on its safety for the community. On Friday, Congressman Gottheimer wrote Catherine McCabe, Commissioner of the New Jersey DEP, asking once again for testing to be done on the waste pile after private testing reveal unsafe levels of lead in the water running off the pile. It also solicited a definition of “de minimis” solid waste in light of evidence of “brick and block” and “possible trace amounts of asphalt” in the pile. A video of the visit can be found HERE. 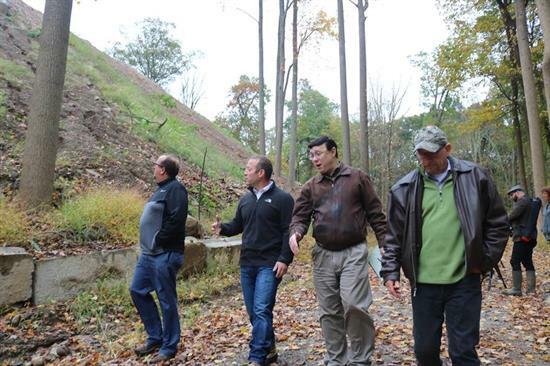 Below: Congressman Josh Gottheimer (NJ-5) assesses the waste pile alongside Vernon Mayor Harry Shortway (left). In the background, rebar, cement, asphalt, and rusted piping can be seen mixed in among the waste. Office Hours: 9AM-5PM, 5 days a week.